These microbes, known collectively as the “plant microbiome,” have a lot of natural impact on the plant host. Some microbial species are beneficial, helping the plant’s immune system to fight off enemies, while others can be harmful. Although our research is in its early stages, we’ve already identified several potentially beneficial bacteria species. 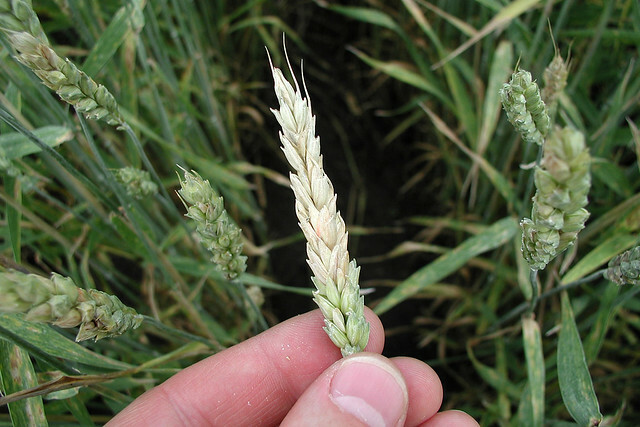 In future research, we hope to explore whether applying these bacteria to wheat seeds could help mature wheat plants resist Fusarium head blight. Additionally, we want to learn whether this preventive microbial treatment improves grain quality and prevents harmful compounds from accumulating. More broadly, our research supports the “farm to fork” continuum, exploring ways to safeguard the food we eat and the economic well-being of producers. Very well explained, even to a layman like me. Interesting article.